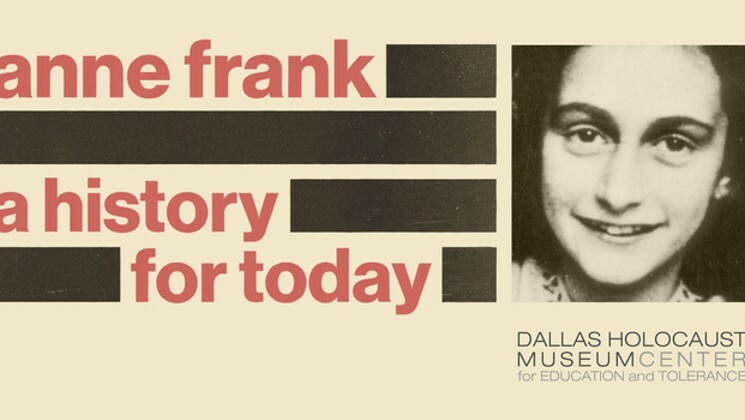 On March 12, we are pleased to hold our inaugural Girl Scouts Day at the Museum, which will focus on the life of Anne Frank. Each activity correlates with a different age group and Girl Scout badge. Reservation required. In collaboration with the Anne Frank Center USA, the Museum will present four performances of Conversations with Anne, a 40-minute performance with an actor in the role of the young writer, followed by a Q&A session where children can ask “Anne” questions about her life before the war and in hiding. Showtimes are each day at 2 p.m. and 6:30 p.m. Tickets available at Eventbrite. “Anne Frank: A History for Today” was developed by the Anne Frank House and is sponsored in North America by the Anne Frank Center USA. Exhibit sponsors of at the Dallas Holocaust Museum are Clampitt Paper, Dallas Tourism Public Improvement District, Dallas Office of Cultural Affairs and The Catholic Foundation.